With the dry season well and truly here, we now head into our major events of the year. This Sunday it's our triathlon at Lake Bennett Resort which includes the NT Standard Distance C'ships. Fantastic camping weather at the moment, so why not grab the tent and/or swag and head down on Saturday afternoon? The resort has camping available. Lake Bennett Resort, Chinner Road. 1. If you are driving down on race morning and not staying at the Resort, please drive past the gate and park off road on the right hand side. We require the bike course to be free of vehicles. 2. Don't forget your timing chip! (New members will be issued with theirs at check in). 3. Double check you have all your gear. 4. Bring water for pre race needs and your water bottles (the local bore water is not to everyone's taste). 5. It will be dark around check in time, so a torch will be handy. 6. Please stay afterwards for awards presentation and sausage sizzle. 1. New events are being added to our calendar. Sunday 25 June 2017: Off Road Duathlon, (details being finalised). 3. As the new events are added to the calendar we need members to fill roster positions. A quick check of our calendar from June 2016 to date shows that not to be the case. This has been discussed at committee level and we are giving consideration to how to manage this going forward. It has been suggested that if our RD (& other positions) aren't filled two weeks prior to an event, that we cancel that event. It would be a shame for this to happen as we know we have a huge number of members very capable of covering the RD positions. It's not difficult, lots of help is provided and it only means missing one event in a season and you are giving back to your club. So if you haven't yet done a roster duty, we hope to see you among the first to put up your hand! 5. 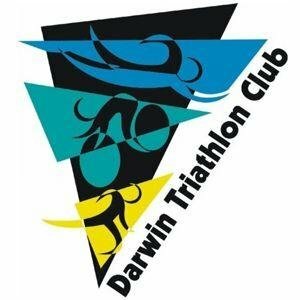 Well done John Thyne & Kathryn King who took out the recent Kakadu Triathlon and Emma Winterflood who won the duathlon. 4. Lots of very fit people out and about at the moment. We have around 20 signed up for IM 70.3 Cairns and 7 for IM Cairns. 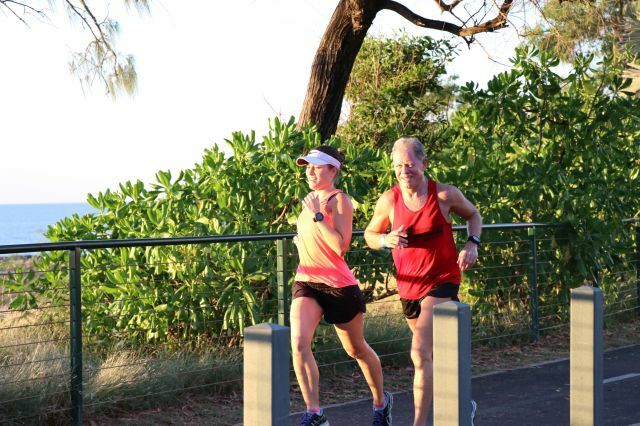 Our event on Sunday is perfectly placed for them to have a really good hit out before Cairns. 5. Thanks to those who have already entered for Sunday. Don't forget, as it's an away event we have an earlier close of entries. 6. A club tee is on offer to our 50th and 55th entries received. Be quick!